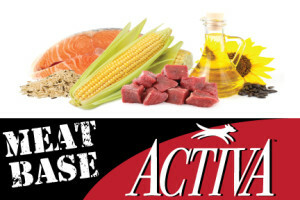 At United Valley Pet Food we strive to meet every customer’s specific products need. We pride ourselves in the flexibility we offer with our products from various shapes and sizes of our kibbles to over 38 pre-formulated varieties of dog food. Adding more flexibility to our production is the fact that we can alter our pre-made formulas to accommodate any customer’s request. If that isn’t enough customization, we will take a customer’s already existing formula sheet, analyze it and determine the best way to produce the dog food the way they want it. We currently offer over 5 kibble shapes and sizes, but have the capability to choose from over 1,000 varieties of kibbles. 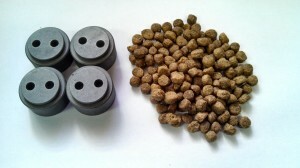 To see our current selection of kibble dies visit our Kibble Die Breakdown page. We currently offer over 38 pre-formulated dog food varieties, including Grain Free, No Corn and All Life Stage formulas. If you would like more information on each pre-formulated formula we offer, visit our Pre-Made Formula Information page.